What a great experience it was must have been for Joe go the extra mile and dress in his Civil War uniform for the children in the Surry County School system who attended his lecture. I am sure he brought history alive for them. Thank you for what you do, Joe! 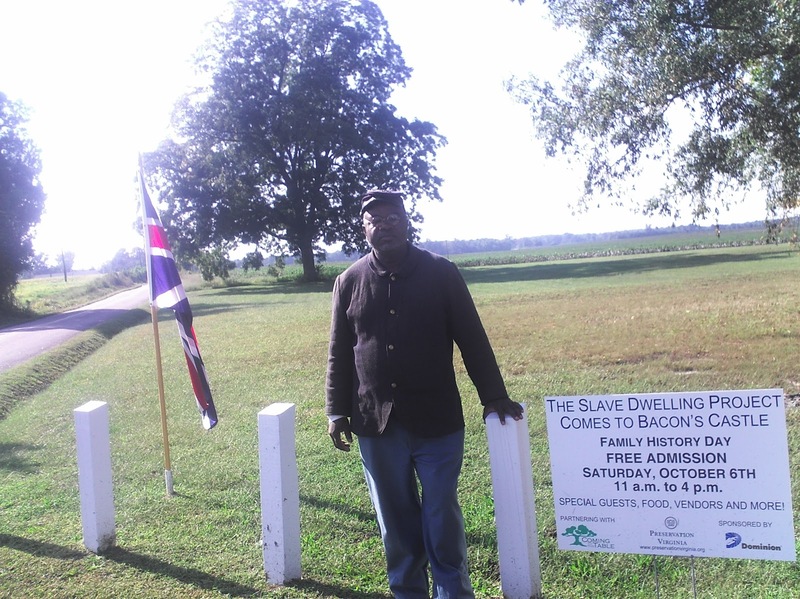 Next, we will bring you the accounts of some of the participants from The Slave Swelling Project stay at Bacon's Castle. So, stay tuned! After a 3 month hiatus, the Slave Dwelling Project came back strong with two stays in Virginia. The first of the stays was Bacon’s Castle which occurred on Friday, October 5, 2012. 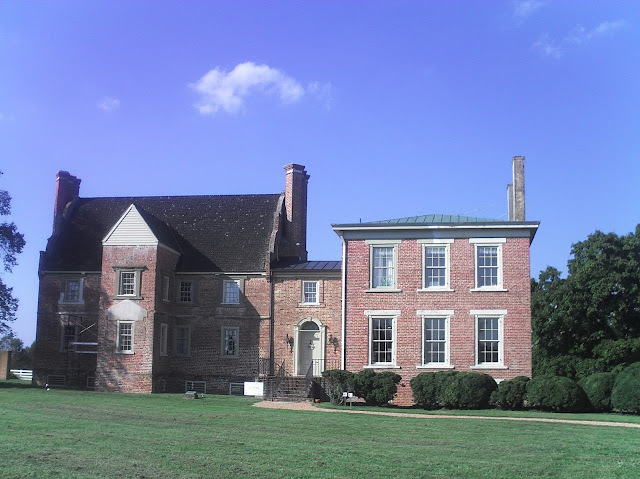 Constructed in 1665 in Surry County on the south side of the James River, Bacon Castle is the oldest brick structure in North America. Best known for its connection to the Bacon’s Rebellion, it was home to Arthur Allen, his heirs, and other planters and their families from the seventeenth to the twentieth century. When the Slave Dwelling project was in its infancy, I got a visit in my Charleston office of the National Trust for Historic Preservation from staff members of Preservation Virginia. They thought that the project would go over well at Bacon’s Castle. 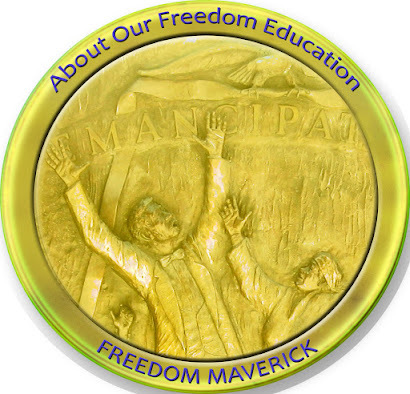 I remember being impressed that even at that early stage the project had gained enough relevancy to garner the attention of this statewide organization. I vaguely remember telling Jennifer Hurst, Associate Director for Museum Operations and Education, that my time spent with them should be maximized. That part of the conversation came across to her loud and clear because maximizing my time is exactly what she did. As a result of Jennifer’s planning, the project directly interacted with more people than any other stay to date. Let me explain. With the date chosen, it would still be about a year before the stay would occur. 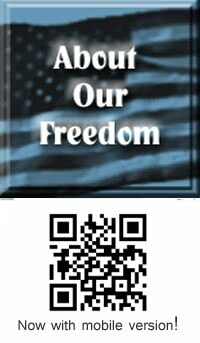 That time was utilized quite effectively with Jennifer planning and promoting the project on her end and me on mine. Social media played a big role in the buildup to the stay most notably yielding at least one guest that would share the stay at Bacon’s Castle. About two weeks prior to the trip, I had an interview from a Surry County, Virginia newspaper reporter which resulted in a newspaper article. An additional notice of the stay was printed in the local paper on the day the stay occurred. My ongoing involvement with the group, Coming to the Table (CTTT), would also play a big role in this stay. My first direct action with the Bacon’s Castle stay would occur in Richmond, VA. Jennifer arranged for me to spend my first night at historic Linden Row Inn. I was the honored dinner guest of members of the board of directors of Preservation Virginia. I had the pleasure of giving them a synopsis of the Slave Dwelling Project. I praised them for making Virginia state number twelve for the Slave Dwelling Project. In planning the events associated with the sleepover at Bacon’s Castle, Jennifer insisted that I bring my Civil War uniform. After explaining to Jennifer that when I fly to the sleepovers I lighten my carryon luggage by not bringing my Civil War uniform but she continued to insist with her reason being that I was going to address children in the Surry County school system. Address the children I did, senior high, middle school and 3rd and 4th graders! It was an overall great experience as I adjusted the message to accommodate the age of the children that I addressed at the time. The students, some of whom had visited Bacon’s Castle the day before, responded accordingly with highly intelligent and engaging questions in the end. While presenting to the first school group, Toni Battle of San Francisco and Devin Berry of Oakland, California showed up. I was expecting them. I met both of them in March of this year at the national gathering of Coming to the Table. Devin was my roommate while in Richmond and vowed that he would join me in a future stay. Being a man of his word, Bacon’s Castle would be that stay. Toni made it clear in Richmond that the ancestors are with me on this project even if I am in denial. Both Toni and Devin and one other Coming to the Table member, Prinny Anderson would spend the night in the slave cabin at Bacon’s Castle. Arriving at Bacon’s Castle on the day of the stay was not the first time for me but it was for Toni and Devin. The three of us arriving together proved invaluable because the photographic documentation began instantly, an important element that had been missing in this project to date. Although I had been in the slave cabin before, having the pleasure of witnessing Toni and Devin experience the space for the first time was quite moving. Containing four rooms on two levels, the structure is the only one of eighteen slave cabins left on the property and is situated among several other out buildings. Jennifer’s planning ensured that in a matter of hours seventeen people would occupy the two lower levels. Jennifer had already apprised me of the guest list and the one of which I was most skeptical was that of the media representative for I have been burned by that promise many times before. 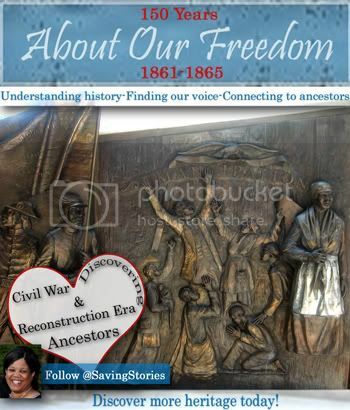 In an attempt to strengthen the relationship between Bacon’s Castle and the African American community, early in the planning of this event, Jennifer and I decided others should be given the opportunity to share the slave dwelling experience with me. In addition to the local people scheduled to stay that night, people from North Carolina, Texas and California were also scheduled to stay. Early in the evening, as we gathered in the big house, the people started to show: Barbara and Judy Anderson, two sisters whose great-great grandmother was once enslaved at Bacon’s Castle; Michael Ray Vines, Jr. a student at Virginia State University, Reverend Daniel Baltimore, the Pastor of Mt. Nebo Baptist Church in Surry; Allison T. Williams a reporter for the Daily Press and a host of others. Ghost stories seemed to permeate the conversation but it became obvious that the local African American community rarely interacted with Bacon’s Castle. Hearing the testimonials of why they all chose to spend the night in the slave cabin at Bacon’s Castle was verification to me of why the Slave Dwelling Project was necessary. Of all those testimonies, none meant more to me than the fact that I was sharing the experience with the Anderson sister whose great-great grandmother was enslaved at Bacon’s Castle. After moving the group to the cabin, we all claimed our spot on the floor where we would place our sleeping bags to bed down for the night. On the porch of the cabin, a live video streaming and live chat were attempted. The chat was successful the video streaming failed. Time was then allowed for Toni Battle to conduct smudging which is blessing the space inside the cabin before we all moved outside again to form a circle for the pouring of libation as we were all reminded that this occasion was about honoring the ancestors. The following day was full of activities as demonstrations and presentations were planned throughout. Early that morning, before the audience began to arrive, one totally unplanned event happened. Devon Berry, Toni Battle, Prinny Anderson and me, all members of Coming to the Table, found ourselves at the cotton field bordering Bacon’s Castle. Although cotton was not the crop of which the enslaved at Bacon’s Castle labored, it was comforting that me and Devon, the descendants of slaves; Toni Battle, the descendant of slaves and whose ancestors were the subjects of lynching; and Prinny Anderson a descendant of Thomas Jefferson could all gather in a cotton field on a plantation to talk about the subject of slavery and the healing process. It was even more comforting that on our way back from that visit to the cotton field, we encountered one of the Anderson sisters whose ancestor was once enslaved at Bacon’s Castle. We learned from Mrs. Anderson that because of her opportunity to spend a night in the cabin, more opportunities for interacting with Bacon’s Castle now exist, more specifically, her becoming a volunteer tour guide and discussing with the rest of the family the possibility of having a family reunion on the property. Personally that alone would be mission accomplished for the Slave Dwelling Project but there was more to come. The most noted presenter of the day was Harold Caldwell an employee of Colonial Williamsburg who demonstrated period cooking. It was a pleasure to observe him as he interacted with his audience. His method of engaging them at every opportunity was inspiring to me. Sampling his creations was an added bonus. When I told him about my one experience of cooking beef stew in a slave cabin and the critique I got about slaves not having access to beef, he made me aware that it really depended on the plantation owner and that there are accounts of some masters issuing their slave beef or other meat products. The overall experience with Mr. Caldwell has certainly opened my mind to similar programs at other slave dwellings in the future. Initially the question was confusing to me because I was not wearing a hat at the time but then Jennifer immediately came to the rescue. Earlier that morning, I asked Jennifer if it was necessary that I wear the Civil War uniform, she replied that it was totally up to me, I chose not to. After hearing the question, Jennifer reminded me that the young student asking the question was a part of the school presentation the previous day and he remembered the hat that I wore with the Civil War uniform. His question was great on many fronts: methods of living history work, i.e. wearing period uniforms; the young man was successful in convincing his mother to bring him to the event; and Jennifer Hurst was right in insisting that I bring the Civil War uniform. The Bacon’s Castle experience alone would put Virginia in the category of most exciting and engaging state for the Slave Dwelling Project thus far but before I left Virginia there was one more stay to be done. Next blog: Sweet Briar College, Sweet Briar, Virginia.